The title of this blog is a quote from a TedTalk.com video of designer Tim Brown talking about play and creativity in the adult world. 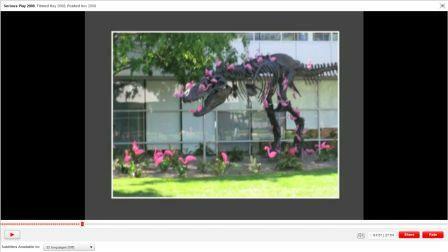 This image is from the video and is of the Googlplex dinosaur decorated with flamingoes. It demonstrates the value creative companies place on playful work environments. and these were in just the first 10 minutes! The video is almost 28 minutes long and you may want to wait to watch it, perhaps with a cup of coffee or tea.